Another month has quickly come and gone, and we're finally getting some warmer weather in Ontario! 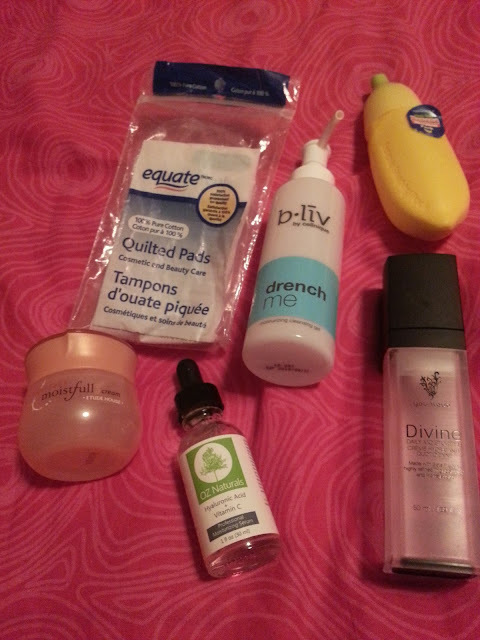 I had an okay month as far as empties go, and my May empties are already starting! I love seeing that trash pile grow.. haha. Does anyone else feel satisfaction when they see how much they have used up? 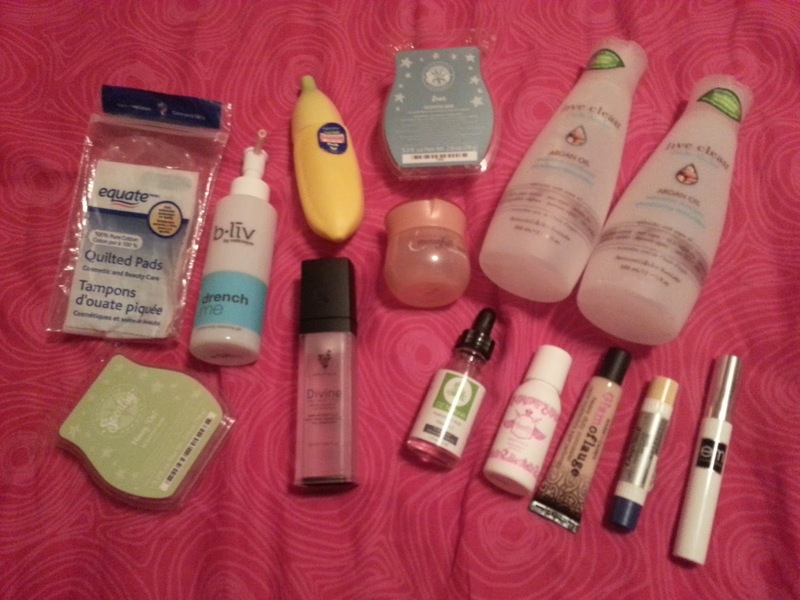 I never really used to care, but now I like to collect my empties and see what I've actually used up. As always, it's not makeup heavy at all. 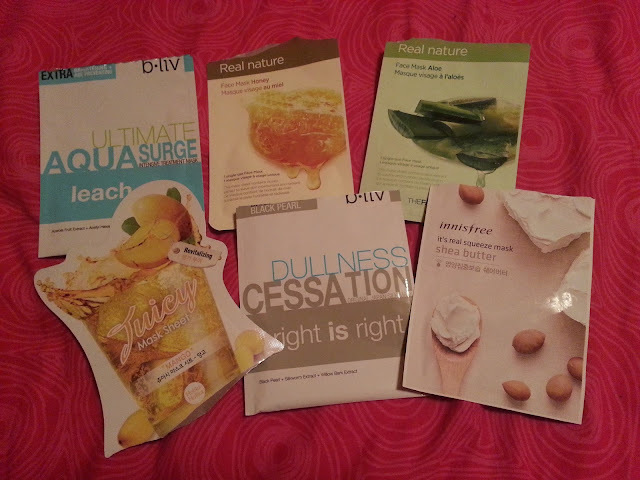 I generally always finish up skincare/body products. I have a hard time finishing makeup. I guess I just have too much! 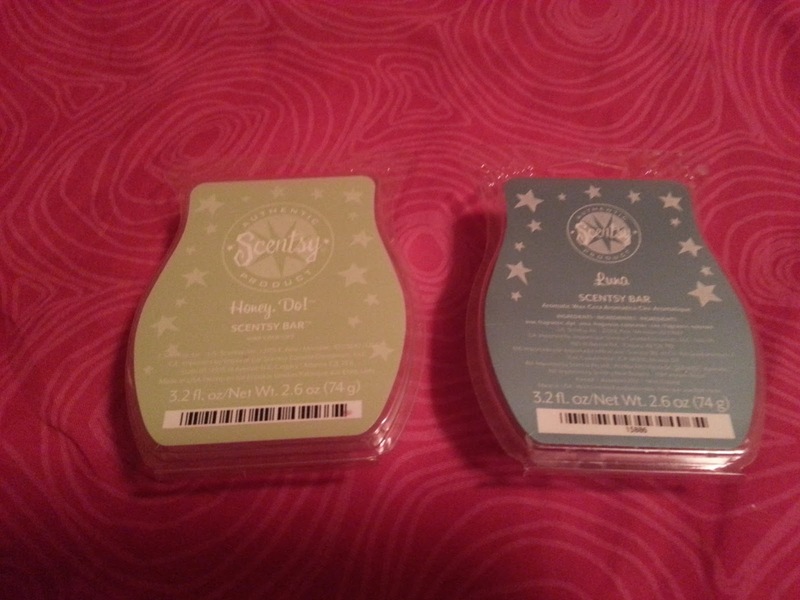 I'm trying to get through my huge stash of Scentsy bars because I just have so many. The addiction began before I became a consultant, and my collection just keeps getting larger and large. Honey, Do! is a scent that is no longer available. Personally, it doesn't really smell like honey dew, or melon, which is part of the reason I couldn't wait to finish it up. Luna is such a beautiful scent, and I've lost track of how many of these I have gone through. I've already repurchased Luna, but I wouldn't repurchase Honey, Do! if it were to ever come back. 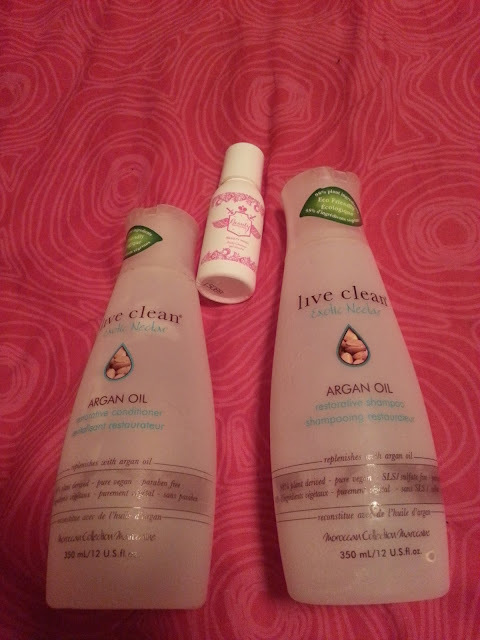 I use these for removing makeup, applying toner, removing nail polish. They just have so many uses. This brand is from Walmart and I find they are decent enough quality. Not the best I've used, but good enough and fairly cheap. I have already repurchased a new pack. I finally got through this jar! I ordered this back in July of 2015! It wasn't much of a cream though. It's more of a gel consistency, and I found it didn't do anything for my face. It came in a set with essence. If you applied too much it would ball up and it would stay sticky. You wouldn't be able to apply it under make up either. I wouldn't repurchase this. I received this in December from Cellnique to review, and I honestly really liked it! It would remove any left over makeup I might have had still on my face after washing with an oil. It didn't seem to strip my skin, and it never felt super dry after using it either. I would consider repurchasing this in the future, but for now I have a ton of other cleansers to get through! As I type this, I just realize that it's hit a year old. Good thing I used it up because it was coming to the end of it's expiry date. Not like I pay much attention to those. I pretty much will use a product until the consistency changes. I know it's not the greatest thing to do, but honestly.. we all spend so much on cosmetics, it would be such a waste to be constantly throwing items out. Anyway, this was an okay serum. I forgot I had it a lot of the time. As I mentioned in the inital review, I didn't feel like it did anything extra for my dry skin. I wouldn't purchase this in the future. I had full intentions of writing a review of this in the past, and I just never got around to it. I didn't end up finding it very amazing. It just seems to feel like a thick moisturizer in the scent of banana. I don't think it did much of enhancing my skin. It smelled fun, but I don't think I would repurchase this in the future. This isn't the first time this has popped up in my empties. In fact I even did a full review on it before. I have a love hate relationship with this moisturizer. I love the thickness, I love that there is absolutely no scent to it whatsoever. But, what I hate is that if you apply even just the tiniest amount of too much, it balls up on your face. Like terribly so. I'd say about 50% of the time I would wear it, applying makeup over top of it would also make it ball up. I even tried using a Younique foundation to see if that would help, and it didn't. And the pump is annoying. When it works, it's great. But there are times you sit there pumping it over 50 times and no product comes out at all. So annoying. I had another full size bottle to open but I decided to sell it on eBay. I'm just not impressed anymore, and I won't be repurchasing this again. I loved this stuff! I did a review on these quite awhile ago. And I got halfway through the bottles and had to put them away because I didn't want to finish them. I've gone through a lot of other shampoos and conditioners in my life, and these ones are awesome. They don't make my hair greasy after a day, they help with dry scalp and ends, and they are eco-friendly. They are pretty affordable from Walmart. They left my hair soft, shiny, and manageable. I would definitely repurchase these in the future, but again, I have a ton of others that I don't like as much, to use up first. I got this as a sample from Birchbox and finally got around to using it. It smells amazing! It really reminds me of Britney Spears' fantasy perfume (in the pink bottle) - I wish I had tried it sooner! It lathered well and I got a few washes from it as well. I'm not sure if I would repurchase it though just because it shows as $16 usd for 8oz and that's kinda expensive lol. I don't even remember which subscription service I received this in, I just know that I've probably been working on it for maybe a year and a half now. 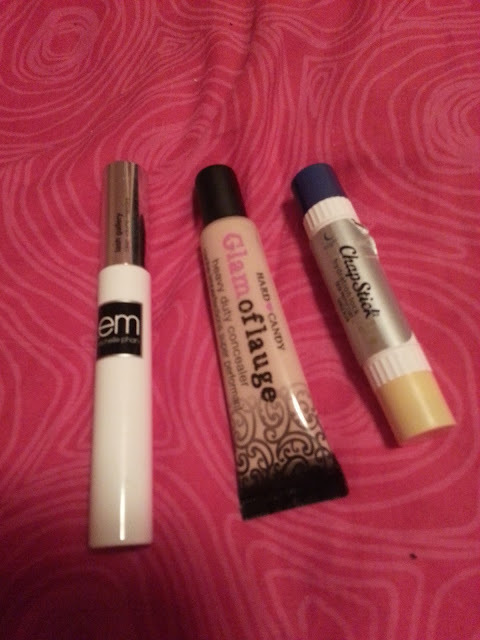 Chapstick is always a favourite of mine, but it seems to take ages to ever finish them! I wouldn't repurchase this just because I feel like I have a lifetime supply in my house! I've only heard amazing things about this concealer so I went on a mission looking for it. When I finally got my hands on it, I was so disappointed. This doesn't cover my dark circles, it also creased like crazy. The product separated SO much that any time I tried to use it, only the oil would come out, and that was even shaking it, and squeezing it a few times. I really don't understand the hype behind this at all. I ended up tossing it because I've had it way too long and it frustrates me way too much. I would not repurchase this. This mascara was horrible. It clumped so much, it dried out insanely fast. I have nothing nice to say. I got it as a bonus item for subscribing with Ipsy and it's just not good. I would not ever purchase this. I didn't use as many up as I would have liked to, but those are the few that I actually got to use. My favourite of them all was probably the Real Nature Honey mask.